U.S. national security adviser John Bolton will warn Iran of “hell to pay” and “serious consequences” if it defies the U.S.
Bolton was to deliver a speech Tuesday in New York featuring rhetoric that is tough even by the standards of an administration hostile to Tehran. The speech is hosted by an organization that opposed the 2015 nuclear deal that the Trump administration withdrew from earlier this year. 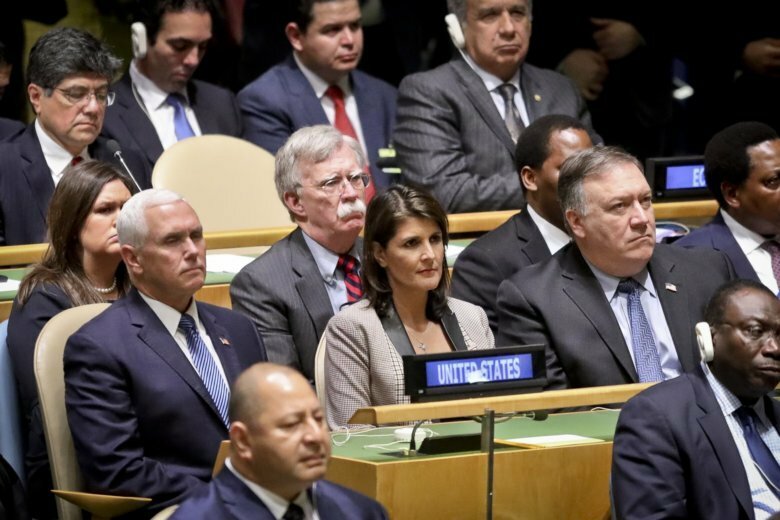 He calls the deal the “worst diplomatic debacle in American history” and says it failed to curb Iran’s nuclear weapons program in the speech that coincides with the annual U.N. General Assembly. Bolton says the “murderous regime and its supporters will face significant consequences if they do not change their behavior” and there will be “hell to pay” if Iran harms U.S. citizens or its allies. President Donald Trump has singled out Iran for particularly harsh criticism in his annual address to world leaders at the U.N.
Trump blasted what he called the “corrupt dictatorship” of Iran and accused the government in Tehran of spreading “mayhem” across the Middle East and around the world. He called out Iran’s “bloody agenda” in Syria and Yemen in particular. Trump vowed the U.S. would continue to isolate Iran through sanctions that are being re-instated following Trump’s withdrawal from the 2015 nuclear deal.